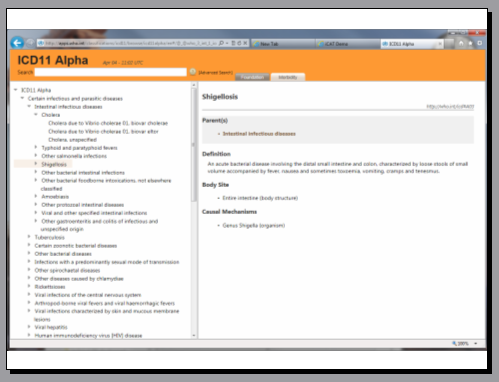 ← ICD Revision Process Alpha Evaluation Meeting 11-14 April: The Way Forward? 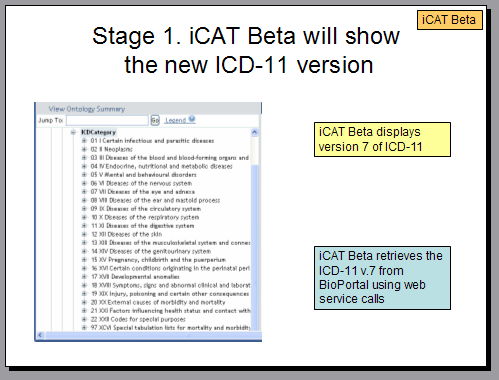 The information in this mailing relates only to ICD-11, the forthcoming revision of ICD-10 that is scheduled for completion and pilot implementation in 2014/15. 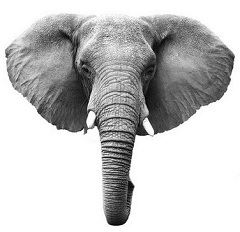 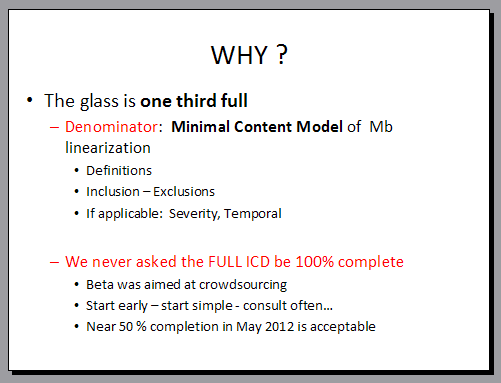 It does not apply to the forthcoming US specific Clinical Modification of ICD-10, known as ICD-10-CM. 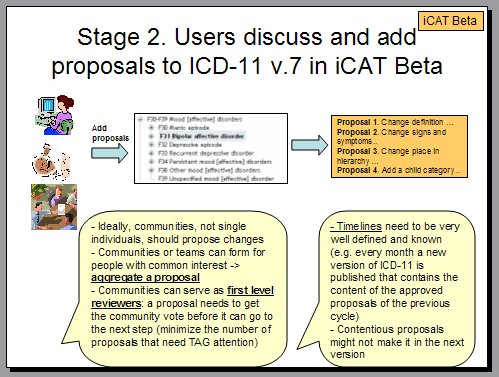 Following this meeting, it is anticipated that ICD Revision Steering Group may make a public announcement within the next few weeks of how it intends to proceed in light of the fact that the timeline for transition from the Alpha to Beta drafting phases has slipped. 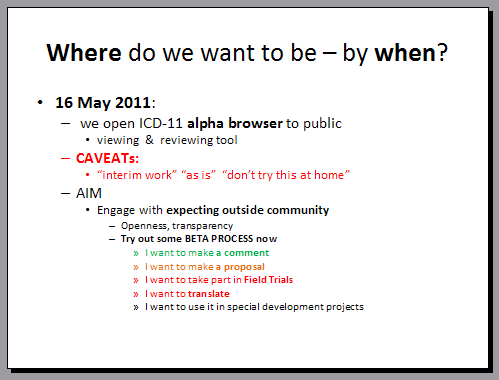 The meeting Agenda and PowerPoint slides suggest that ICD Revision is working towards making a version of the drafting platform publicly available around 16 May, this year, but that this may be a compromise on previous plans and possibly a “hybrid” between the Alpha and Beta drafting phases. 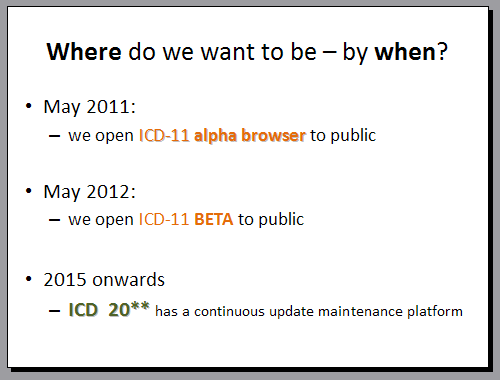 Earlier timelines had approval by World Health Assembly (WHA) slated for May 2014, with pilot implementation of ICD-11 in March 2014. 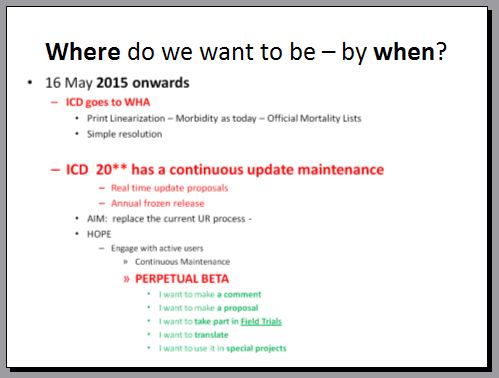 One presentation slide now suggests approval by WHA in 2015. 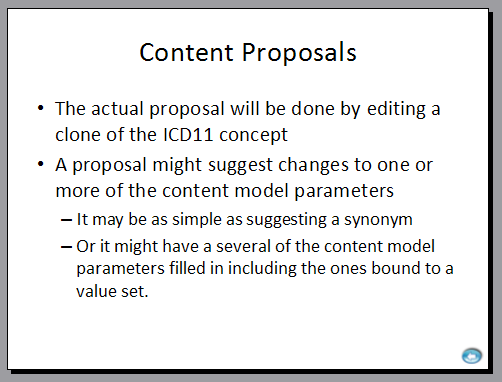 It’s unconfirmed, but if this is the case, WHO may have already decided to shift WHA endorsement and dissemination of ICD-11 by 12 months, to 2015. 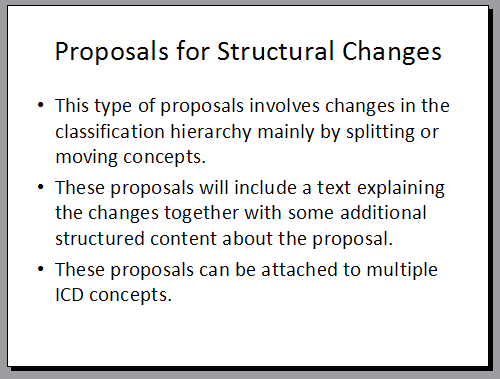 This would mean that DSM-5 would have been put to bed and published two years prior to ICD-11 implementation. 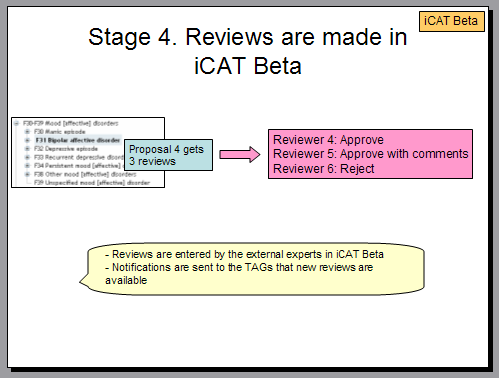 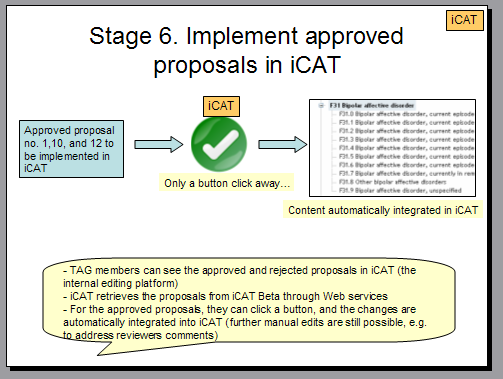 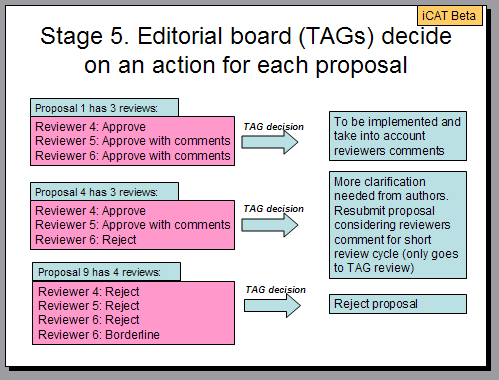 In November, last year, the iCAT collaborative authoring platform through which ICD-11 is being drafted was taken out of the public domain. 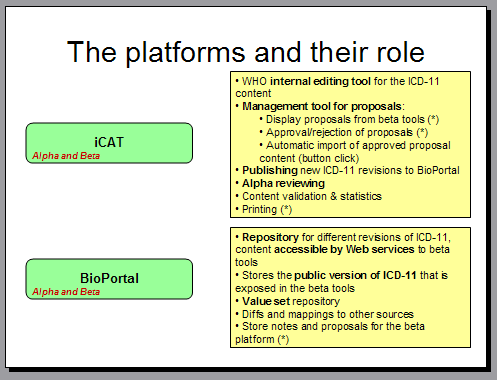 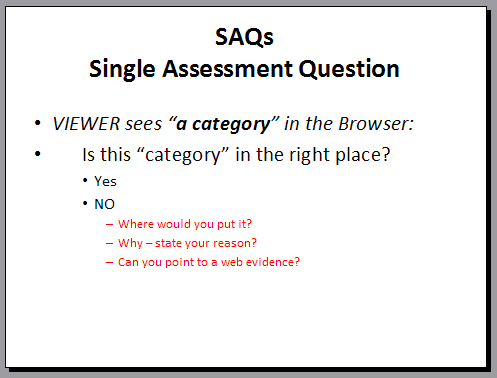 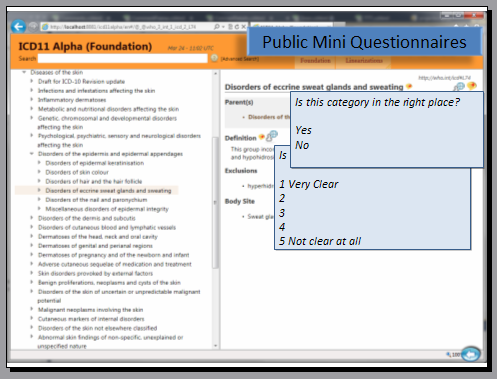 A revised version of the software on which the platform runs is currently sitting on a Standford server, behind a password, accessible only to ICD Revision. 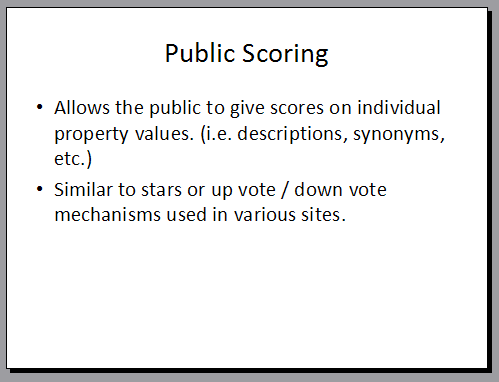 This, or a similar version, may be made publicly accessible (or accessible to those who register for access) from mid May. 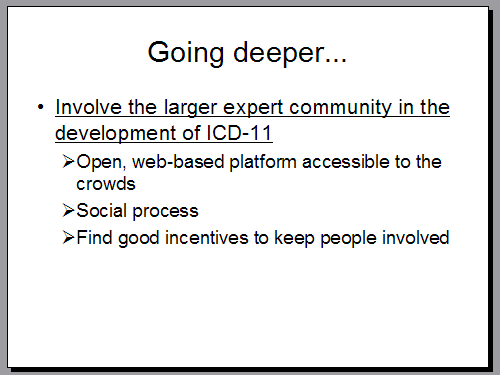 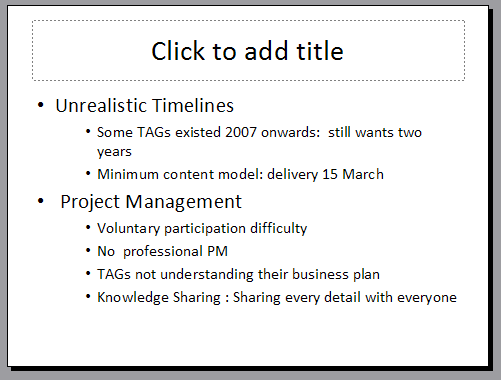 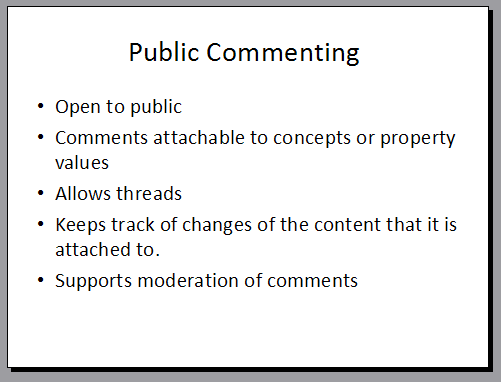 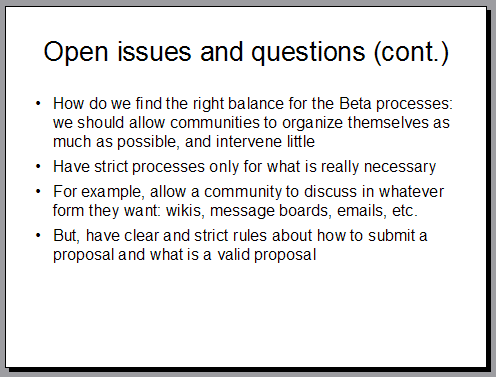 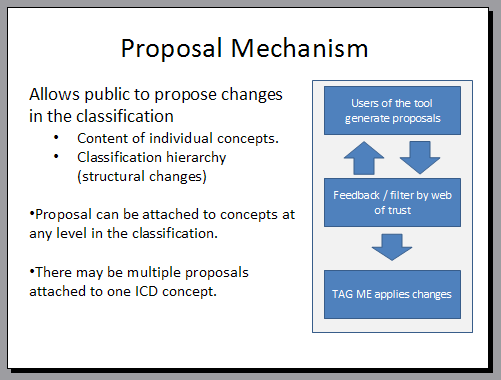 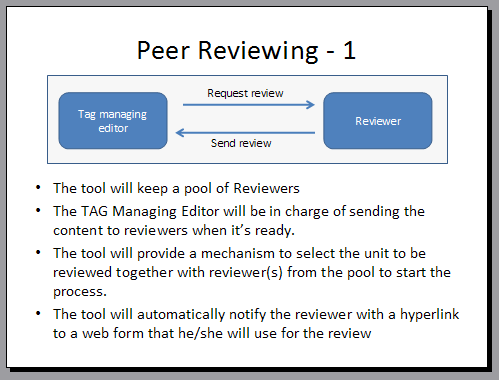 There has been discussion is earlier ICD Revision documents of a hierarchy of stakeholder input – but there is nothing much on this in the meeting presentations, for which ICD Revision has published only slides – not transcripts. 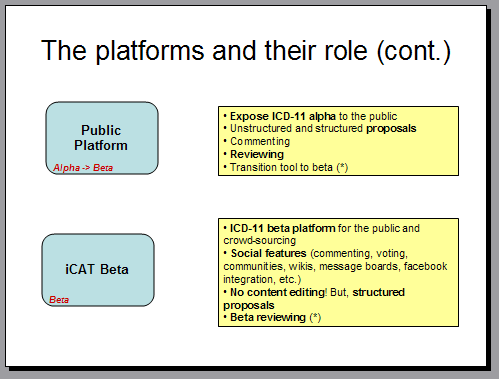 Until some form of Alpha/Beta transition drafting platform is back in the public domain, it won’t be evident how much further forward the population of content for Chapter 6 Diseases of the nervous system has progressed since last November. 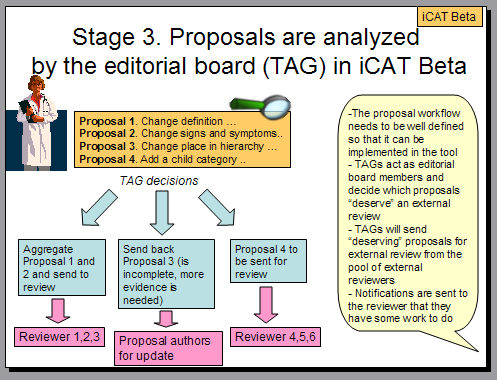 As more information becomes available, I will update, and I will be posting a summary of how things stood in the iCAT last November, in Post #72.